In the previous post, I argued that fraternity can be a force for social change, especially around some key social epidemics that we may be primed to solve. 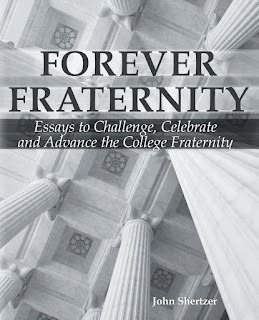 I want to explore some of these topics in more depth and argue why fraternity can be an answer. Let’s start with the social epidemic of loneliness. The same study found that Generation Z (adults ages 18-22) is the loneliest generation. These are the young men and women you may have just talked with at formal rush. Loneliness is a major issue that has huge health implications. Former U.S. Surgeon General Vivek Murthy says loneliness can be fatal. As quoted in a CBS news story. Dr. Murthy says that "The increased mortality associated with loneliness is equal to the increased mortality we see with smoking 15 cigarettes a day. It's in fact greater than the mortality associated with obesity." 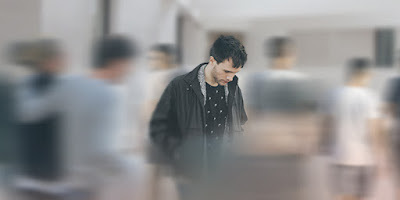 Dr. Frank McAndrew in Psychology Today argues that “Rejection by others psychologically wounds us more deeply than almost anything else, and research by neuroscientists reveals that ostracism can lead to feeling actual physical pain.” In addition, the amount of stress that loneliness creates can have serious mental health implications. But here is an important point: just being in proximity with people does not mean one is not lonely. Dr. Murthy notes that it’s about the quality of “authentic relationships” one has, which may be only a handful. The number of social media followers, for example, does not indicate if someone does or doesn’t experience loneliness. So what does this mean for fraternity? How can we be an answer to this epidemic of loneliness? The easy answer (and wrong one) is that we simply are clubs made of people and thus we are an easy place to gather and escape loneliness. Remember, it’s about the quality and authenticity of relationships that matter. By all means, we should be as open as possible to individuals who are seeking connection and wanting to live in community with others. But, what matters most is how we foster those connections once our rosters are full. Fraternities and sororities are unique on college campuses because we seek to create brotherhood and sisterhood, which TRULY are the types of relationships that fight feelings of isolation and loneliness. Brotherhood and sisterhood is rooted in shared values that we speak and live together. It isn’t based on the fact we occupy the same house, or wear the same letters. It’s based on what we pledged to do together, often while standing shoulder to shoulder. It’s those deeper connections that make fraternity and sorority an absolutely relevant institution in modern times. Many clubs based on shared values in our society are fading away (see Rotary, Lions, Kiwanis). And thus, connections outside of your family unit that aren’t rooted in networking or happy hours or other thin experiences are in short supply. Do members seem more fulfilled by their daily lives and act with purpose and energy? Are they able to fight through stress in a positive way and don’t let difficulties linger? Do members seek out opportunities to interact with each other? Can you observe true moments of connection, such as outreach in times of pain or authentic reactions to positive events? Is your organization free from cliques and bullying that would cause some members to feel isolated? Beyond undergraduate experiences, could fraternities and sororities help solve the epidemic of loneliness by putting increased emphasis on alumni and how they can reconnect with the values and the brotherhood/sisterhood they once experienced daily? Alumni-focused efforts are largely to support the undergraduate “product” or for fundraising but what about a product just for alumni and just for the purpose of building human connections at a time when we all need it? Things to consider at the national office as you plan for an alumni engagement program. Loneliness cannot be eliminated from our society. There are too many contributing factors. But the nature of our organizations - fraternities and sororities - gives us a unique opportunity (I daresay obligation) to do what we can. An important point: part of the beauty of the fraternity/sorority experience is the closeness it can provide. And thus, we may be more aware than anyone else about someone’s mental and emotional state. We need to stay observant to signs of struggle (which may look like loneliness, or anger, or stress) and be willing to talk with each other. If you emerge from your fraternity/sorority experience with an increased comfort in talking with a friend about their struggles, then you will have earned a critical skill many people spend a lifetime chasing.